You might be asking yourself the question “is blogging a career?” Well, that has two answers. For some people the answer is a Yes and to others it’s a straight No. if you expect to make blogging your career, you should be prepared to focus on blogging as an expert. And as an expert, you must take your blogging on a professional level. What professionals are known for is doing things through processes that work, not just do some trial and error. With experience from many years of blogging, I’ve been able to try out the many blogging practices out there and have seen first-hand those that work and those that won’t reward your efforts. To build a successful blog, you need to focus on implementing those practices that work. That’s why I’ll be sharing some ways to build a successful blogging career with you in my post today. Building a mailing list should be the core factor to every successful blogging career. Having a mailing list can help you achieve more than you can do with just your blog. 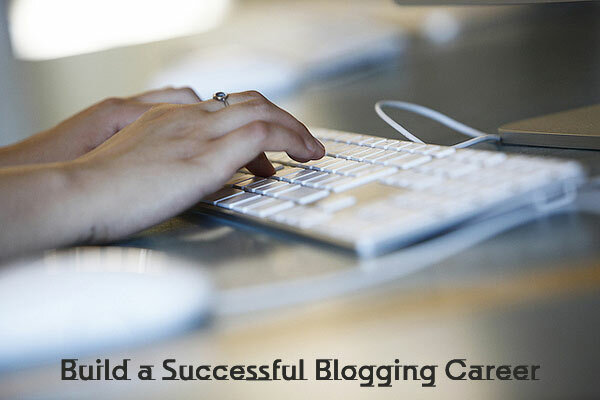 Start building your mailing list to make your blogging career go smoothly. People don’t rely completely on the number of blog readers they have. If you have thousands of people flocking to your blog everyday and you can’t capture just a bit of their email address, your blogging might slow down. Start by signing up with an email provider like AWeber or Mail Chimp. Design a good opt-in form and position it on a catchy edge on your blog. Any visitor that gets to your blog now should be able to see a sign-up option to join your mailing list. The next important thing you should focus on when on the pursuit to build a successful blogging career is to know your audience. Who do you want see read your blog? Work at home moms, teens, or men looking for a way out of their financial mess? You have to know who your blog is directed at, only then can you do anything reasonable. After knowing who your audiences are, you shouldn’t find it difficult developing content that will serve their needs and give solutions that solve their problems. It’s only when you are able to solve the problems of your readers and give them that which they desperately need that they can become your returning readers, and then buy your products. Building connection would go a long way to play a vital role in your blogging career too. If you have blogger friends, you should build a professional relationship that will benefit all parties involved. People start building connections with bloggers by offering to help them in some way: it might be in form of helping them to do a research on something they might otherwise not have the time for, or offer to write a guest post for their blogs. By building connection with many bloggers, you can use your influence to ask them to recommend your products to their readers, and make more sales. Previous: Are We Sure Nofollow Links Are Worth Nothing? How is WordPress still better than Blogger and Tumblr?